Over in Yingkou, Liaoning Province, things are about to get very messy for the city’s beloved basketball team. FIBA, world basketball’s governing body, have finally had enough of the Chinese team’s intransigence regarding the non-payment of a former players’ wages. 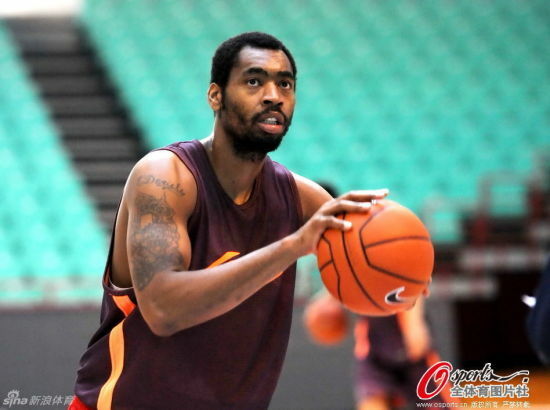 Not only have the Liaoning Jaguars refused to pay the player, former Texas A&M big man Chris Daniels, they also effectively gave the middle finger to FIBA by refusing to acknowledge its’ ruling that the Chinese team had to pay up. To say this is going to be a costly mistake is an understatement. FIBA is riled up and ready for war whilst the CBA itself can only look on aghast. By CBA standards, stories of unpaid wages are nothing new. Most recently, Shavlik Randolph had to sue the Foshan Long Lions over his outstanding salary earlier this year. The fact that Randolph had led the league in scoring during his previous season in Foshan and was popular with the team’s fanbase seemed to have been a non-factor. The Lions, like many CBA teams in the past, have no qualms about not paying overseas players in the hope that they will give up trying to hack through China’s byzantine court system and simply go away. As a result, FIBA have emerged as an increasing prominent mediator in the financial dealings between CBA teams and overseas players. With all that said, the Daniels case looks especially unpleasant. In the FIBA lawsuit, it is alleged that not only did Liaoning deliberately avoid paying Daniels, they also attempted to cut costs by putting the American’s family in an isolated apartment that lacked any heating despite temperatures in Yingkou regularly plummeting below freezing during the CBA season. A personal chef (presumably to cook western food for the family) was also promised but never materialized. When the team went on the road, it had also been agreed upon that Daniels’ family would travel with the team but upon arriving to road games, they found themselves placed in low-cost accommodation far away from the team hotel. Somewhat understandably Daniels, best known in China for playing alongside Tracy McGrady in that doomed Qingdao Eagles team of 2012, was pissed. FIBA was also troubled by what they heard and ordered Liaoning to pay Daniels his remaining unpaid salary plus lawyer fees, totaling $300k. The Jaguars, for reasons unbeknown to anyone, then opted for the nuclear option and told FIBA it would not recognize the judgement and planned to appeal (this despite there being no means to appeal). A decidedly unamused FIBA then duly tacked on a further $130k fine. Though the Jaguars will be hurting, ultimately it will be the league itself that has the most to lose from Liaoning’s shenanigans. Individual teams know that money talks and though Daniels will never return to Liaoning, the lure of several hundred thousand dollars for four months work is tough for most American journeyman to turn down. Essentially, their supply of competent overseas players is infinite under the current structure of the league. This means that most of the collateral damage rolls over onto the CBA itself at a time when it wants to be more respectable on the international stage. The various scandals of the past like Bayi brawling with college students or the terrible standards of refereeing are starting to not be the first thing that get mentioned with regard to the CBA. In its place is talk of emerging young players like Wang Zhelin, and with its light up floors and passionate crowds, Chinese basketball is starting to become quirky and interesting to western audiences. With that in mind, the CBA doesn’t need stories of teams stashing families away in hovels to save money. It doesn’t seem like a coincidence that in the midst of Liaoning dragging the CBA’s image through the mud, the league has suddenly announced new internal disciplinary measures for teams that break contracts. It should also be noted though that the CBA deserves all the guano coming its way. Before Mudiay and the growing influx of relatively well-known NBA players coming to China, the league rarely seemed to care about the welfare of its foreign players and after years of looking the other way, the chickens have very much come home to roost. Ultimately, for all their huffing and puffing, Liaoning will pay up. A single team in northern China is not going to withstand both the fury of its own league but also the sport’s international governing body. There is talk about the CBA stopping Liaoning registering its overseas players as punishment and that ultimately might do the trick. For all of the Jaguars’ bluster, they will need a full quota of foreigners to compete in the upcoming CBA and begin to generate the revenue needed to pay off their growing legal bill. The bigger question will be how much stink Liaoning’s conduct leaves on the rest of the league– and how long it will last.